Borderline consists of 6 musicians..John Deneen-Lead Guitar/Vocals, Beth Elbin-Fiddle/Keyboards, Chuck Palmer-Bass/Lead Vocals, Tina Dagenhart-Lead Vocals, Brian Merson-Guitar/Lead Vocals and Scott Miller -Drums. We are the perfect band for any type of event and can tailor our song lists to fit your function. 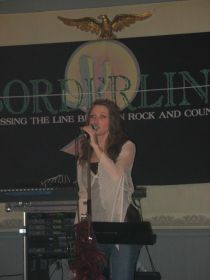 Borderline is highly talented, crowd pleasing, live band. We cover classic rock, top 40, modern rock, R&B and country.